Four people were killed and 10 others injured when a bomb went off on a train track in the province of Baluchistan, Pakistan. Separatist rebels are believed to be behind the attack, although no one has yet claimed responsibility. 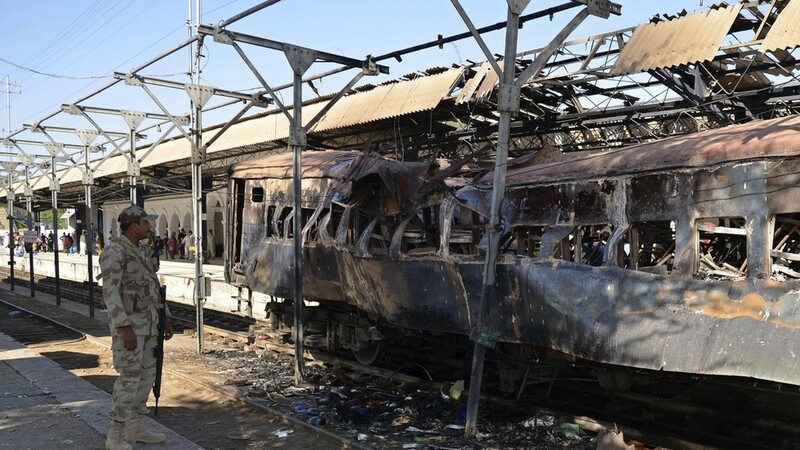 The blast derailed six train cars, which were traveling from the northwestern city of Peshawar to the Baluchistan provincial capital, Quetta. A local police chief told journalists that a teenage girl, her mother, and two others were killed in the attack. Similar attacks have been carried out by ethnic Baluch rebels in the past, although the insurgents have not yet claimed responsibility for the deadly blast. Baluchistan forms a key part of China’s massive transport and energy projects, known as the Belt and Road Initiative. Baluch rebels claim that they are fighting against the exploitation of the region’s natural gas and other resources. Pakistan claims that Indian Intelligence agencies are supporting the militants in the region of Balochistan bordering Afghanistan. In 2016, A senior official of Indian Navy [Kulbushan Yadhav] was arrested when he entered into Pakistan from Iran border illegally. He had an Original Indian passport with a fake Muslim name [Hussain Mubarak Patel] written on it. The interesting thing is that his passport was originally signed by Indian Authorities in New Delhi. At the time of his arrest in 2016, Indian authorities denied that he is an Official of Indian Navy however after he accepted that India is funding and sponsoring money into the militant's organizations that are working against Pakistan. He found himself guilty of being involved in espionage and sabotage activities inside Pakistan. On 10 April 2017, Kulbushan Jadhav was sentenced to death by a Field General Court Martial in Pakistan. On 18 May 2017, the International Court of Justice stayed the execution pending the final judgment on the case.